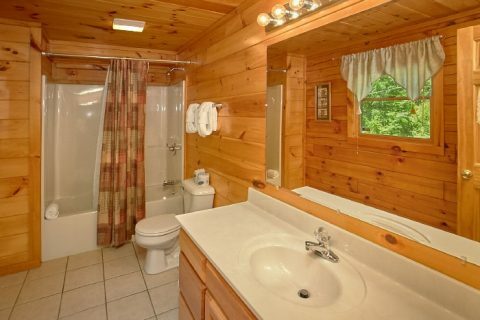 Is it possible to be both "Knotty and Nice"? 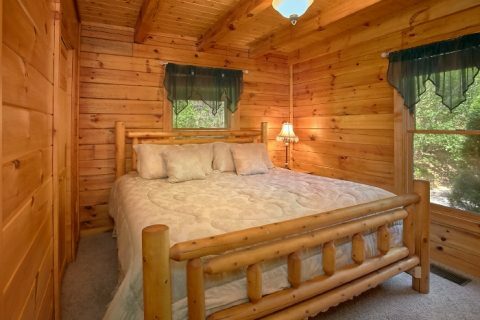 Take that special someone on a memorable Smoky Mountain romantic getaway to this honeymoon cabin in Pigeon Forge! 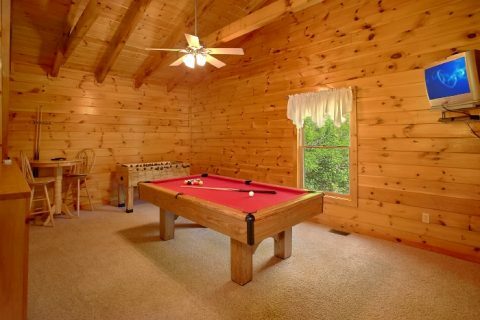 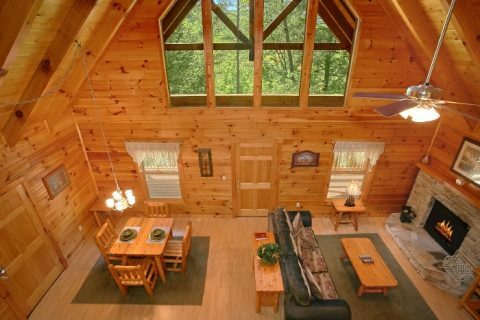 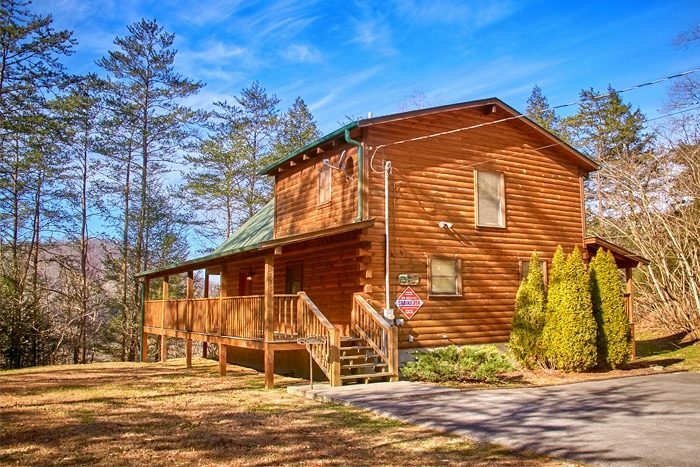 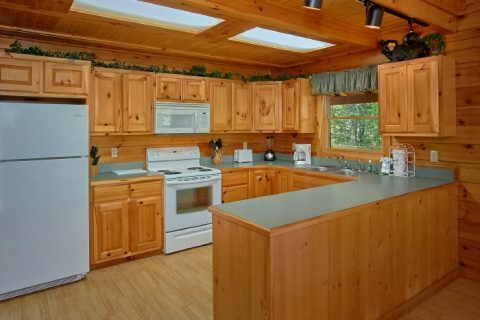 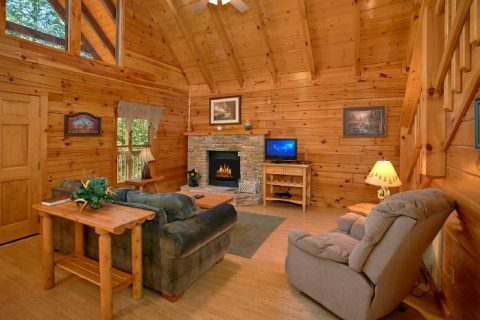 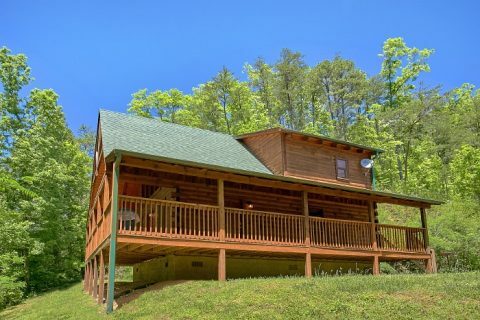 Your cabin rental boasts a convenient location near all the main Smoky Mountain area attractions as well as a cabin interior built for the two of you to relax, play, and reconnect with one another on your memorable vacation. 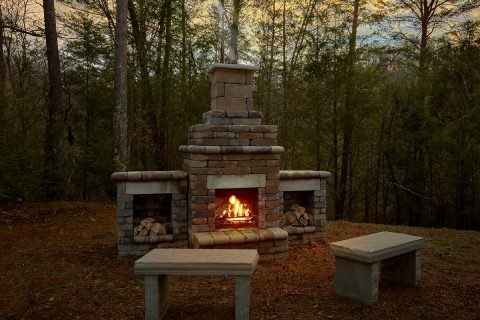 Once the day is past, everyone can gather around this cabin's outdoor fireplace for a fun evening underneath a starry night's sky. 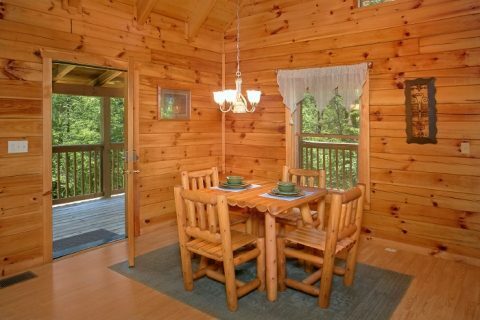 From mini-golf to delicious food, thrill rides to outlet shopping, your cabin's location near Pigeon Forge gives you quick access to all the area's top attractions. 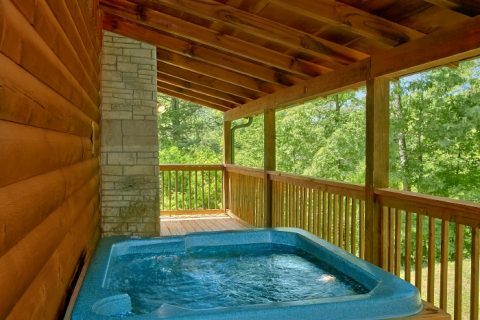 When you get back from another exciting day of adventure in Pigeon Forge or Gatlinburg, retire to your comfortable king suite which features its own full bath. 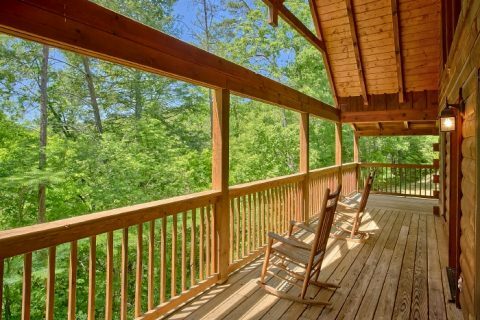 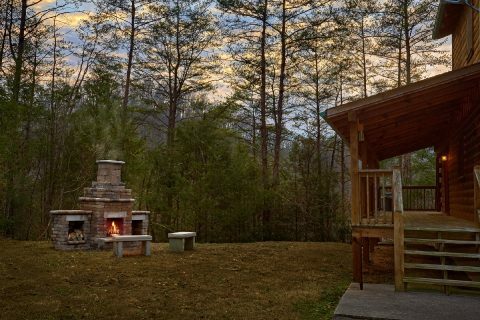 Book your honeymoon cabin in Pigeon Forge with Cabins USA today and start planning a Smoky Mountain romantic getaway that will bring the two of you even closer together!